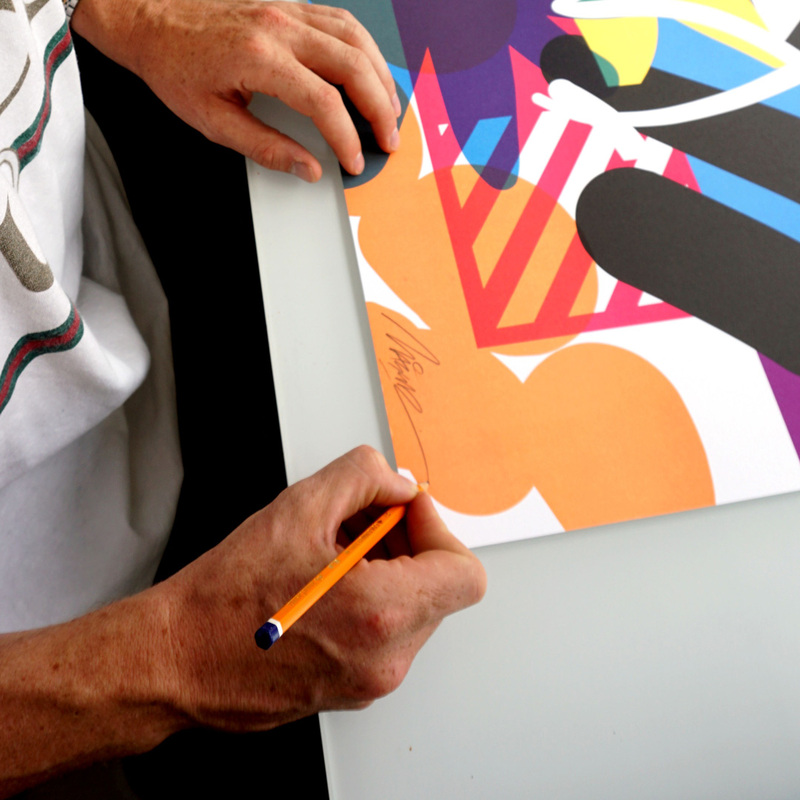 This RUN comes signed, numbered by Maser and includes an Original Artwork Letter of Provenance from 1xRUN. 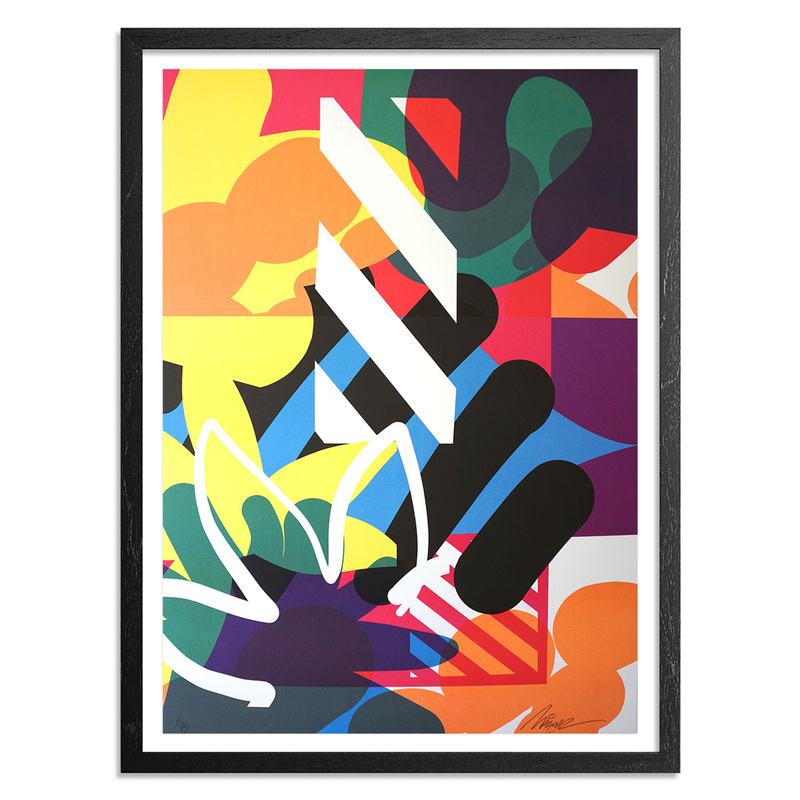 ABOUT THE ARTIST: Maser is an artist originally from Ireland, now living in the USA. 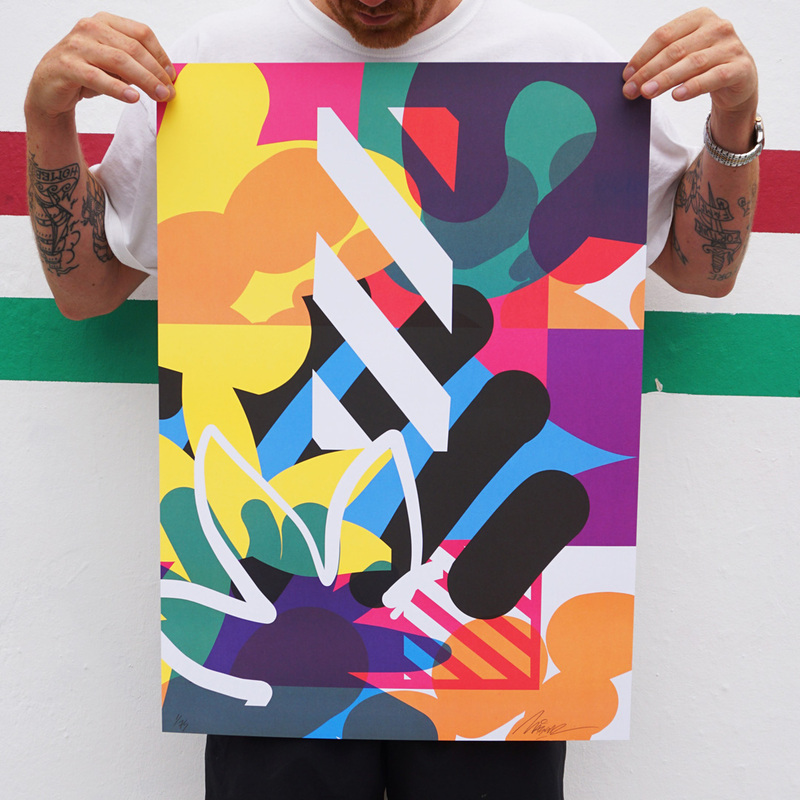 As early as 1995 under the moniker ‘Maser’, he began painting graffiti on the streets of Dublin, where he soon earned the respect of other graffiti artists in Ireland and throughout Europe for his unique abstracted style. 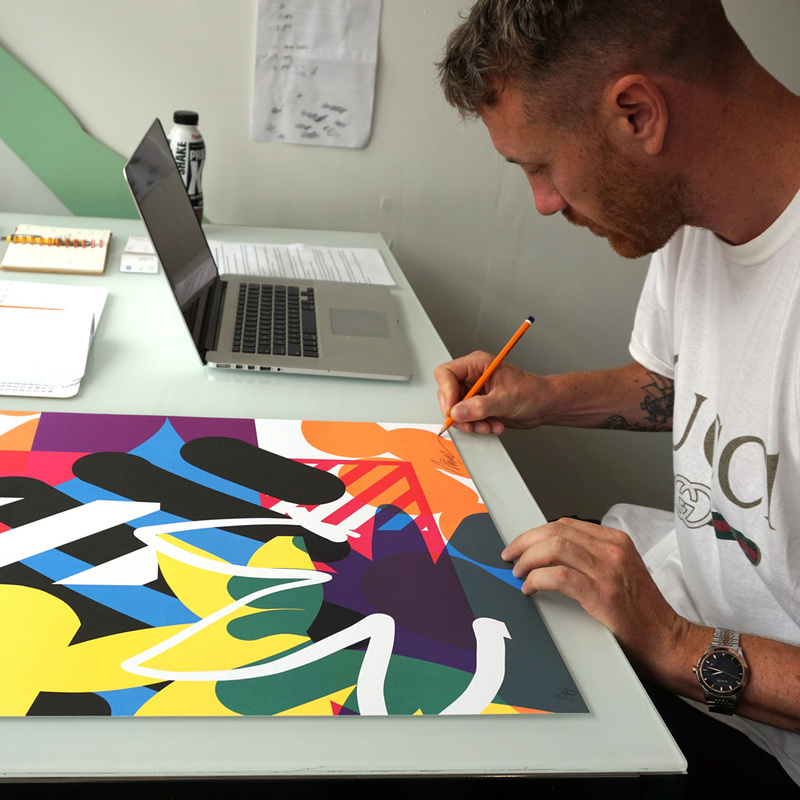 After studying Visual Communication at Art School in his home city, he went on to establish himself as one of Ireland’s leading visual artist working in the urban environment. 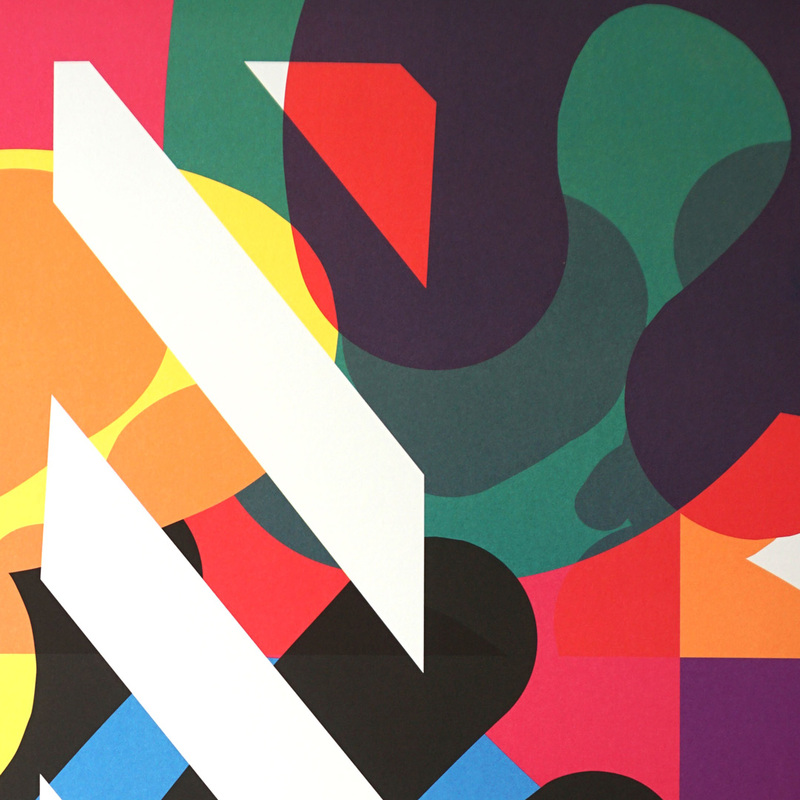 His early work, such as ‘They Are Us’ Project (2010) was strongly influenced by typography, letterforms and sign painting, but soon after 2010 his style gradually began to transition towards graphic representation and geometric abstraction. His works demonstrate unassuming techniques emphasizing simplicity of form. Since 1995 his passion and drive has awarded him the opportunity to paint walls across many countries, including; Ireland, UK, Austria, Germany, Denmark, France, Netherlands, Belgium, Czech Republic, Slovenia, Spain, Sweden and the United States. His large scale mural work and his collaborations with artists such as musician Damien Dempsey, TED prize winner – JR, ConnorHarrington, and Fintan Magee have won him notoriety not only in the graffiti world, but also have helped establish him in the contemporary art world. Most recently he was invited as one of 11 selected artists to produce a film to accompany the songs on U2’s 13th studio album ‘Songs of Innocence’. In recent years his work has allowed him explore new mediums and produce works not only on walls but now canvas, video and large scale 3D installations. In 2013 he worked with Tandem Press at the University of Wisconsin-Madison, Wisconsin, USA to create an edition of fine art prints, which were recently exhibited at IFPDA Print Fair 2014, New York, Ink Miami and Expo Chicago. 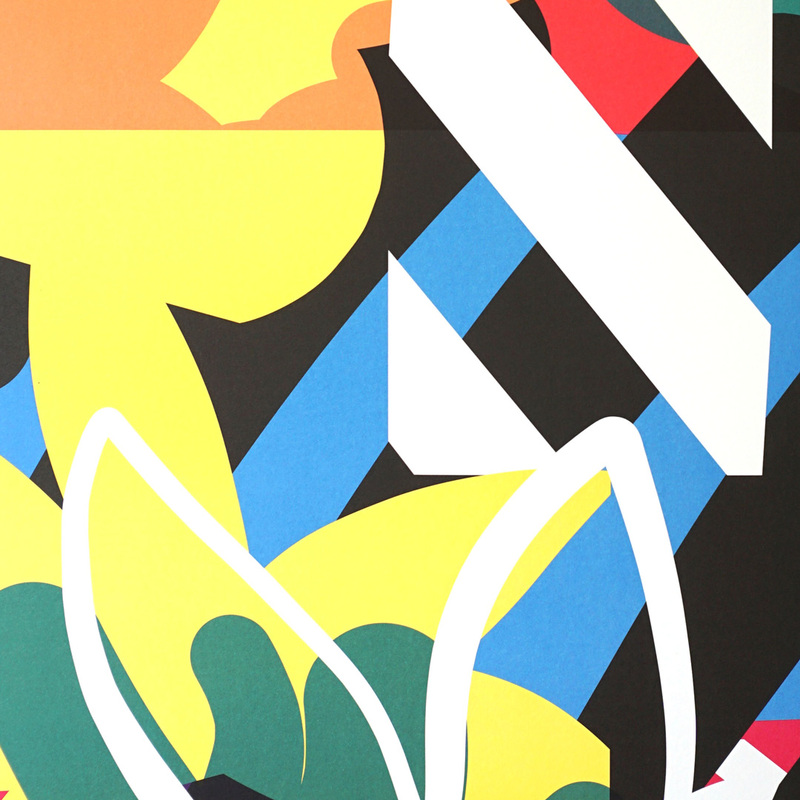 Find more by Maser at maserart.com. 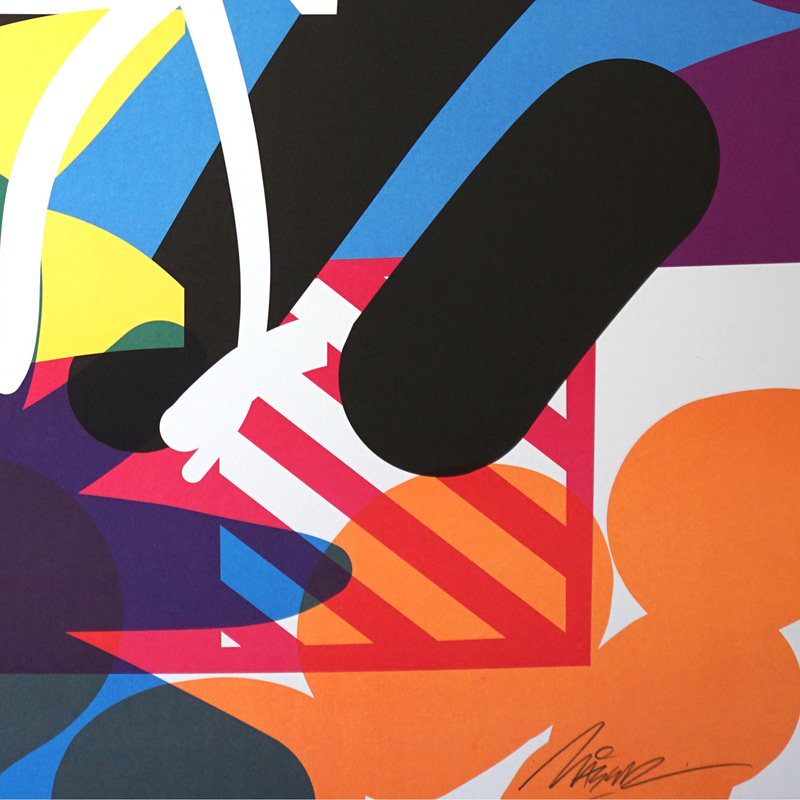 Follow Maser on Instagram @MASERART and on Facebook.